In the wake of critical and commercial successes such as The Queen and The Young Victoria, director Tom Hooper has taken on one of the most obscure dramas in recent British royal history – the titanic struggle which King George VI faced whenever he was called upon to speak in public. 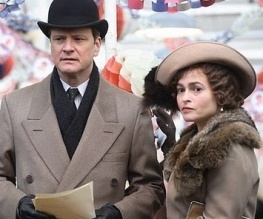 In doing so, he has categorically made the best film of both his own and Colin Firth’s career. The King’s Speech is perfect. The King’s Speech, the George VI biopic starring Colin Firth, has picked up a healthy 8 nominations for this year’s British Independent Film Awards.